It's been a confusing weekend for us here in Singapore. At the 2015 SEA Games, we continue to remain at the top of the table. Sweeping medals here and there, from marathons to Wushu. We cheer Team Singapore on, with loud cheers and bright red banners. Also this weekend, we are faced with a tragedy, the loss of precious young lives braving an expedition on Mount Kinabalu. Personally it's heart-wrenching on so many levels. TKPS is a school close to my heart, many of my students graduated from there before entering TKSS. In the more recent years, Acorn has had the privilege to train the leaders of this school. Thus, there are several students we personally know on this team. Most of all, as a teacher and as a parent-to-be, this loss is suffocating to say the least. How would the parents, teachers, classmates move on from here? How do we even begin to mourn such a loss? Where do we find comfort? How do we offer comfort when the loss is so immense? To read senseless criticisms of the government, teachers and school at this point drives me crazy. However, the reading the reflections, condolences and messages of ex-students, parents and fellow teachers reminds me that where the hurt is real, that solidarity and hope remains aglow alongside. I appeal to those who have been quick to suggest counter-measures and criticisms to have a view of the situation from the summit, rather than to hide behind your screens and type mindlessly. TKPS has had a long history of outdoor adventure. The school excels in many sports and even those who never join a sport CCA are exposed to many activities beyond their classrooms. The stand remains - challenge by choice. More than this, teachers and parents boast a very lively partnership. Parents are often seen participating and contributing actively at school events, whilst teachers interact and have open communications with parents as well. This school, more than many I've been across, shows how the relationship between educator and stakeholder can not only benefit the school but the students in so many wonderful ways. The students we've trained are confident, outspoken and mostly mature for their age. This shows not only good parenting, but a strong school culture of encouraging them to share their views despite young age. I remember a particular incident where two students noticed a torn ironing board cover belonging to a retired uncle who lived alone, whilst they were doing their Community Involvement Project at a one-room flat in Chai Chee. Two weeks after the clean up, we went back to the students for a follow-up session. To our surprise, this pair actually bought a brand new cover and hoped that we could mail it to him or bring it over personally. You can imagine his joy upon receiving this thoughtful and practical gift. At the same time, it demonstrates that these leaders saw a problem and dealt with it within their means. That shows a true heart of sincerity. How do we view this tragedy from above then? What has taken place was clearly an unwanted accident. No amount of RAMS (risk assessment) could have prevented this from happening. 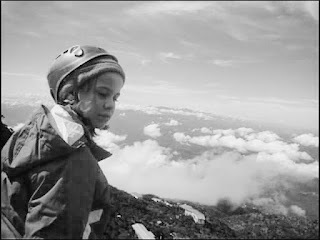 Should we therefore remove the privilege of adventure learning from all other primary school students henceforth? Certainly not. Instead, our response to this incident ought to celebrate the selflessness of the teachers who used their bodies to shield the children. Instead, our commendation should go out to these determined young warriors, who not only trained hard but attempted what many of their peers could only imagine. Instead our hearts and prayers should be with those who feel the loss most immediately, for grandparents, parents, siblings and relatives of the victims. Especially for educators, we ought to reflect on our craft and the impact we are leaving behind. Thinking twice, even thrice about what we say, teach and do. Scrolling through the tributes to the teachers, we see that students, even after five, ten years of graduation remember what you were like, how you taught them and what impacted them the most. Thus, should we not all practice a little more caution in the classroom and in our private lives? Will I decide to pioneer some new movement or attempt to change government policy? No. Instead, I will continue to build curriculum to touch the lives of more leaders, to ensure more selflessness in the society around me. I will press on with my village school building and training projects so that more children will not be denied education. I will treasure not only my child, but every single kid and young person whom I cross paths with, recognising that being able to share my life with them is my privilege not theirs. Let us all continue the work so that children may be allowed to be children.